Ride-sharing company Lyft has begun trading on the stock market with a surge in its share price. Soon, Lyft will be joined by rival Uber. Both companies will be worth tens of billions of dollars. But, with neither of the firms ever coming close to turning a profit, the flotations are being seen as a reckoning - not just Uber and Lyft, but for the so-called “gig economy” itself, the business model that does away with traditional employment in favour of dishing out small jobs via an app. Uber and Lyft have, until now, been funded entirely by unprecedented amounts of venture capital. Uber in particular has made eyes water: it attracted almost $25bn, earning the company the title of “most valuable start-up in history”. Lyft, which has not (yet) expanded globally, raised $5bn. Yet for both firms, reality is arriving soon. Once public, "there's no more hype - it's just results”, said Alex Wilhelm, editor-in-chief of Crunchbase, a site which tracks the financial health of technology firms around the world. “It's going to be tough." In 2018, Uber suffered a staggering net loss of $1.8bn. Lyft lost $911m. Those losses are narrowing, and revenues are increasing, but there are clearly massive hills to climb. And so, for the millions of people around the world that use ride-sharing, efforts to balance these very unbalanced books may quickly become apparent. “Eventually they’re going to have to raise prices on passengers to be profitable,” suggested Dara Kerr, a reporter who covers the gig economy for technology news site CNET. While there are small-scale tests with self-driving cars happening in a handful of cities, we are - by most estimates - perhaps a decade away from that being a reality. Uber and Lyft will need to make up that difference somehow. In preparation for their flotations, and in an effort to boost the number of customers they have, Lyft and Uber have aggressively discounted rides, at levels most consider to be wholly unsustainable. Yet, if Silicon Valley’s history tells us much, it’s that profits often don’t matter all that much. "Facebook, Snap, Twitter… none of them came into an IPO with a profit,” Ms Kerr added. What could be more important, at least on the first day’s trading, is the degree to which a hot new technology stock sends share prices sky high. Jay Cradeur certainly hopes that’s the case. 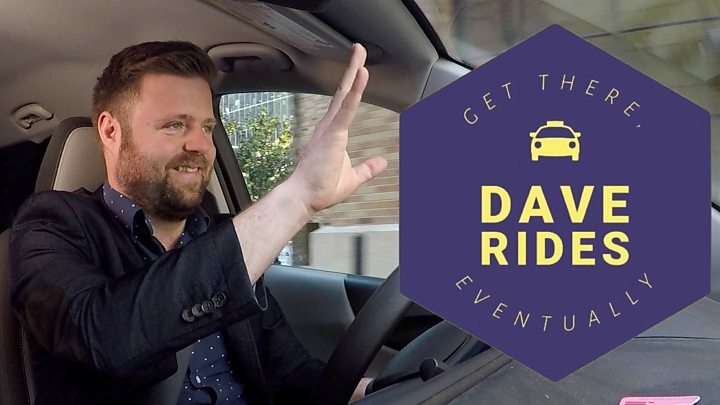 He’s driven an incredible 23,000 rides for Uber and Lyft combined, experience that he shares regularly with other drivers on a blog and podcast. Drivers with 10,000 rides on either platform have been offered a $1,000 bonus that can be taken either in cash or in stock (those with over 20,000 on either platform are being given $10,000). Mr Cradeur is going to take the offer of stock. "I don't have a lot of confidence they're going to, you know, turn a profit anytime soon. He too predicts the firms might have to bump up prices for riders in order to turn a profit. “They're going to be between a rock and a hard place, right? They're going to have to satisfy shareholders. These flotations don't occur in a vacuum. What happens to Lyft and Uber will reverberate around the technology industry - and its overwhelmed epicenter, San Francisco. The companies are just the first of several tech firms expected to go public this year, creating thousands of new millionaires in the process. It’s a grim prospect for the region's “normal” residents, for whom the prospect of home ownership is now mostly an impossibility. This is an area where rents have been driven so high, teachers must take up second jobs in order to scrape together money to live within the communities they teach. Of course, that second job is often as a ride-share driver. However - if these companies can’t make it work, and fail to live up to the hype we’re likely about to see over the next 12 months, it will be major wake-up call for tech’s apparently best and brightest. “There's a lot of the ‘smartest' tech money, and a lot of the big tech money inside his company,” Mr Wilhelm notes, citing investments in ride-sharing from firms such as Andreessen Horowitz, and Google parent company Alphabet.